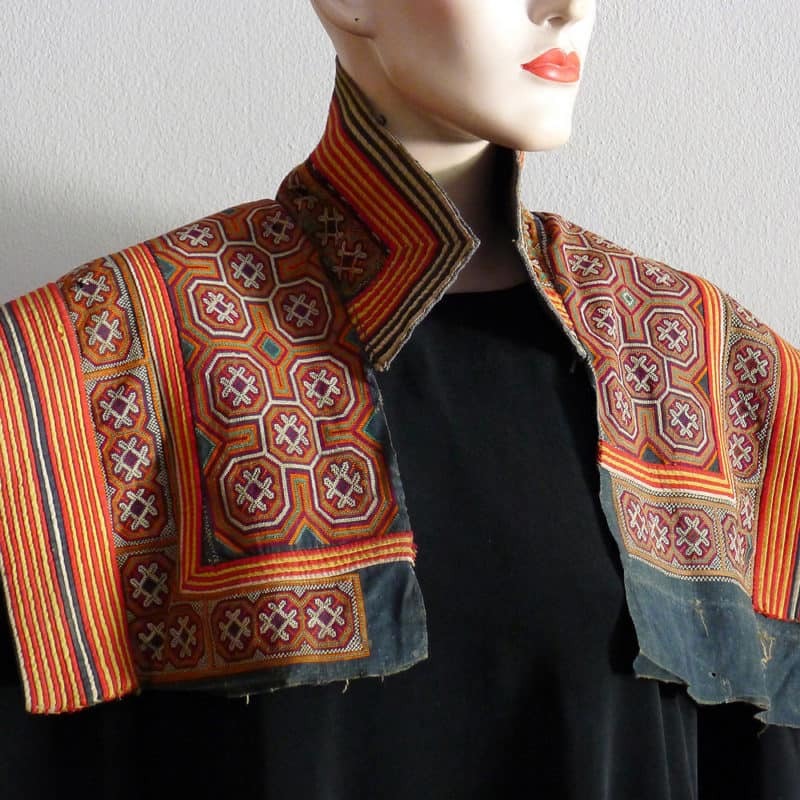 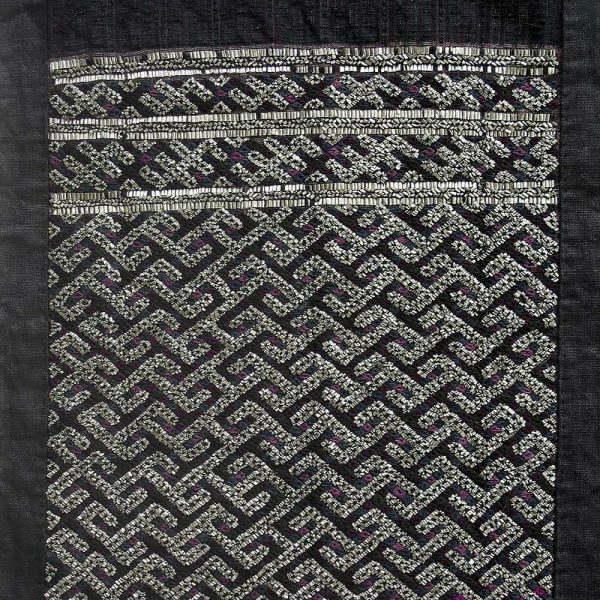 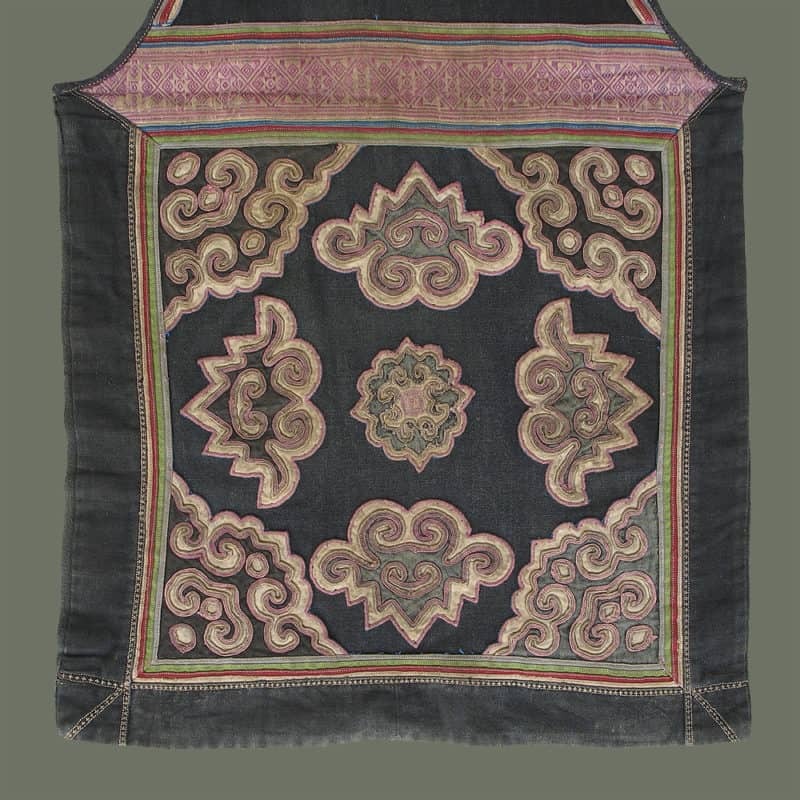 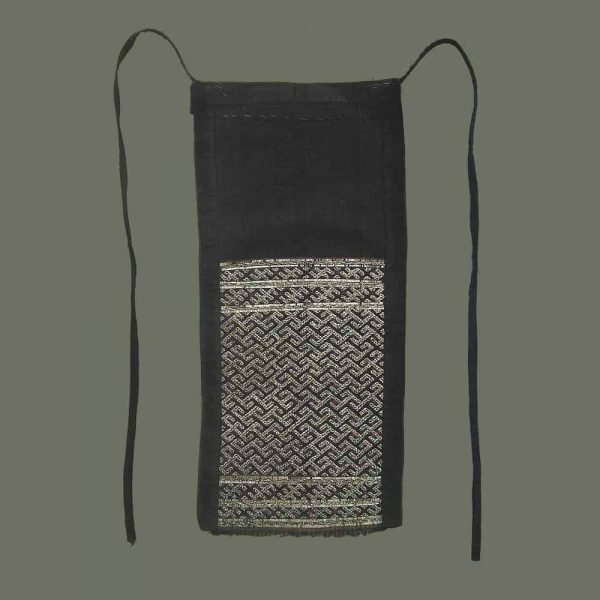 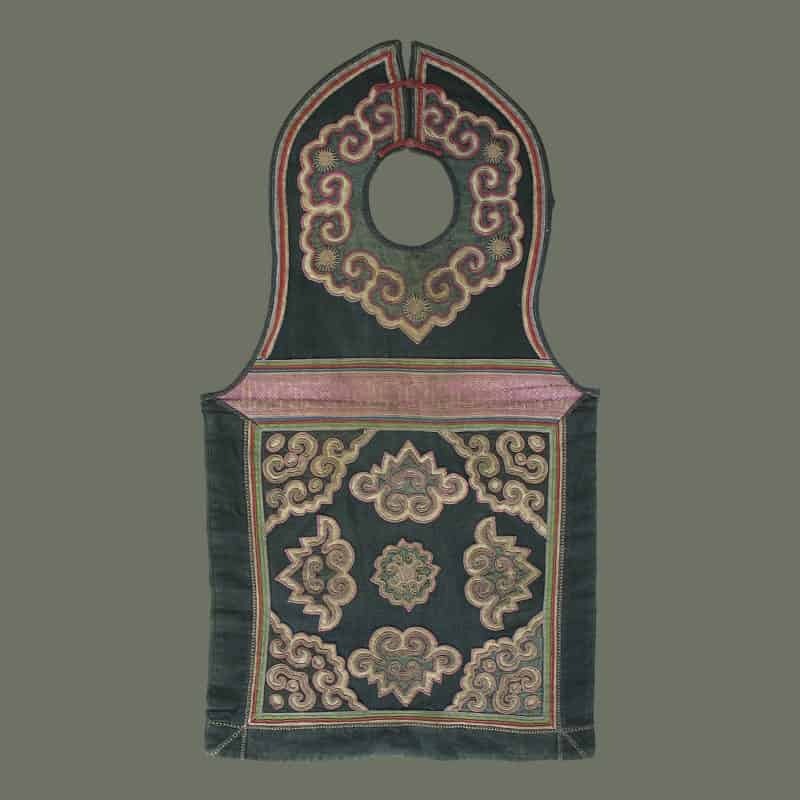 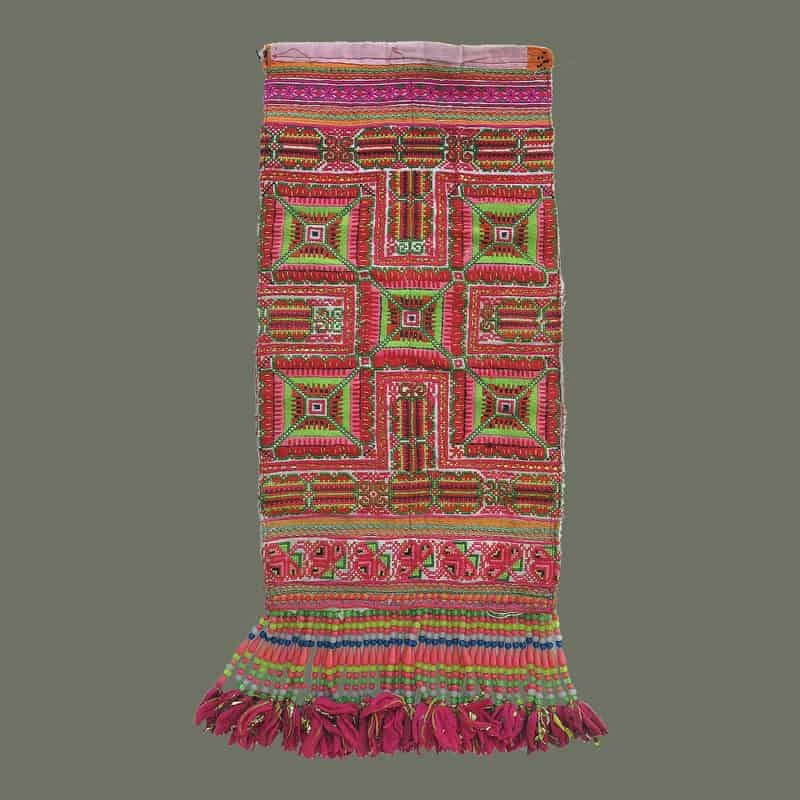 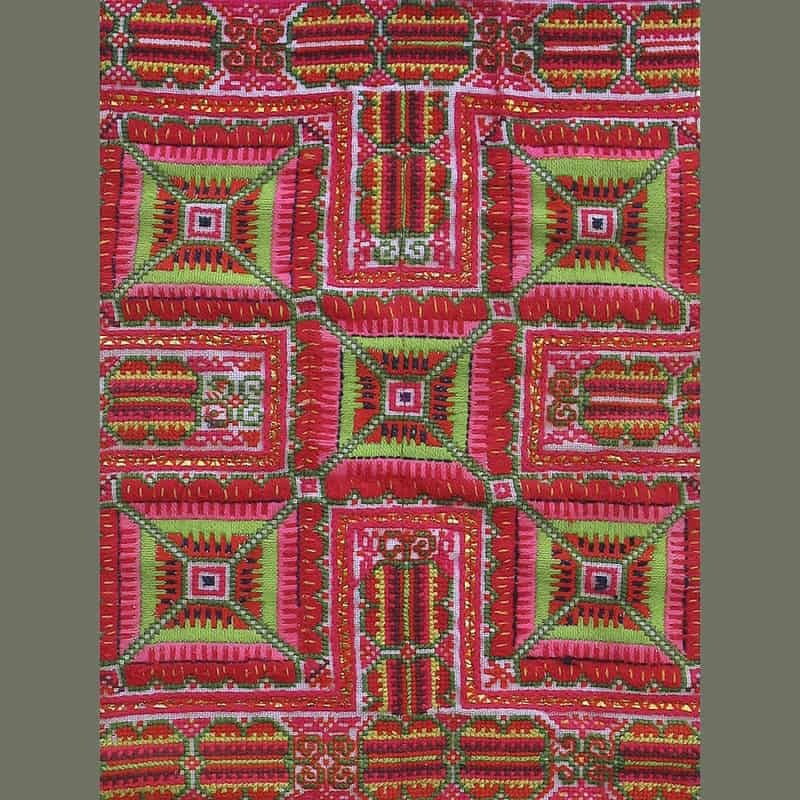 From Jianhe County in Guizhou, China, this beautiful apron is made of a very finely woven dark, striped cotton with supplementary weft patterns. The silver tubes are quite small and form a densely patterned hooked motif. 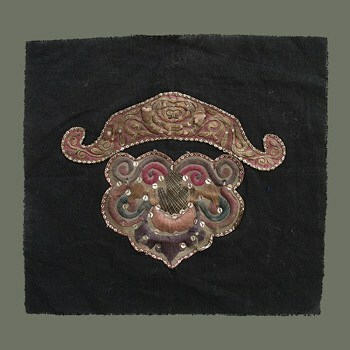 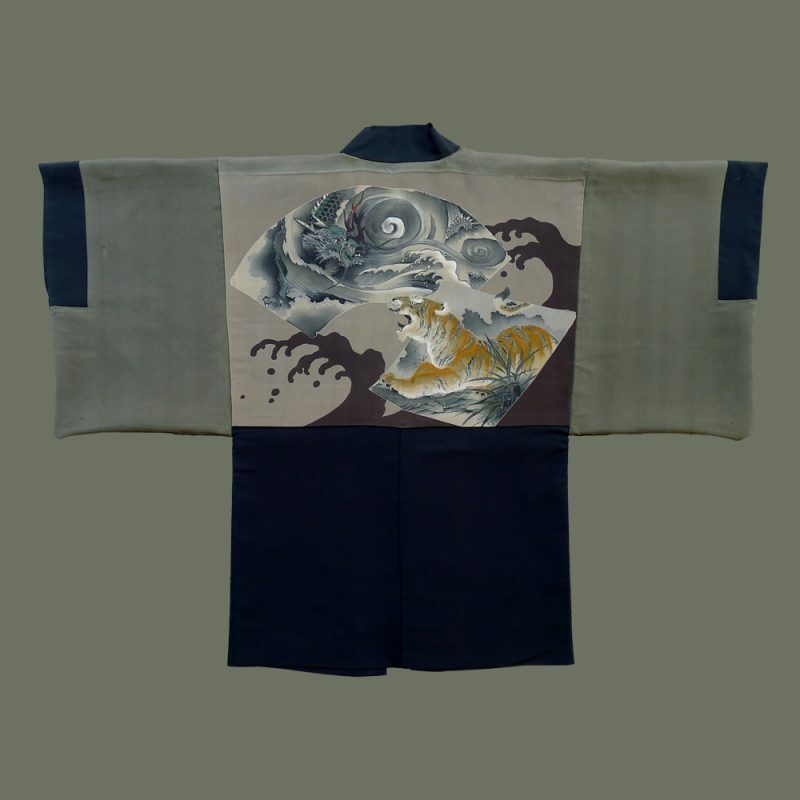 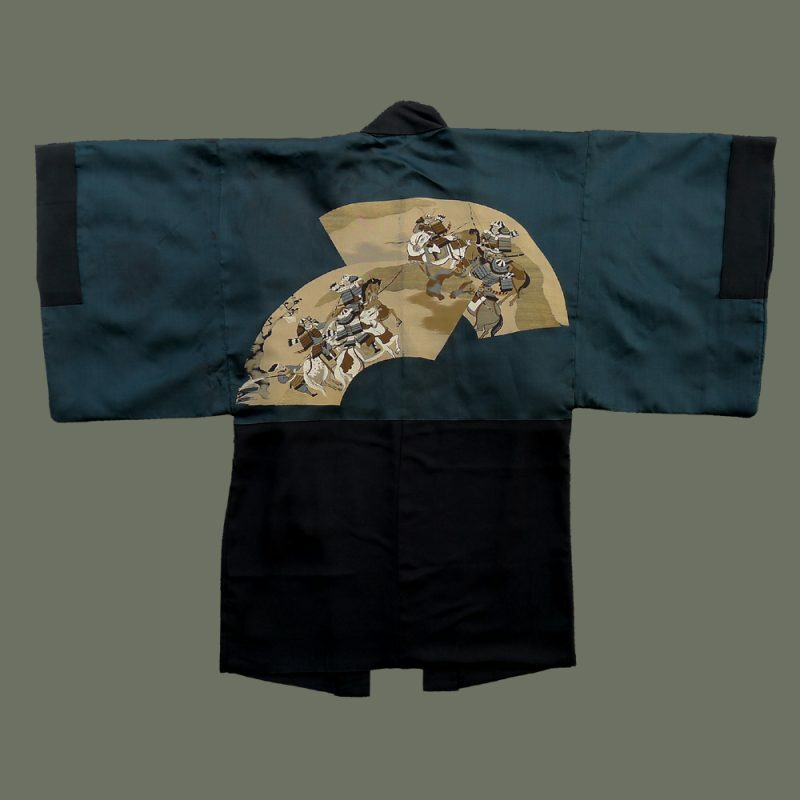 Fine, dark silk embroidery balances the silver. 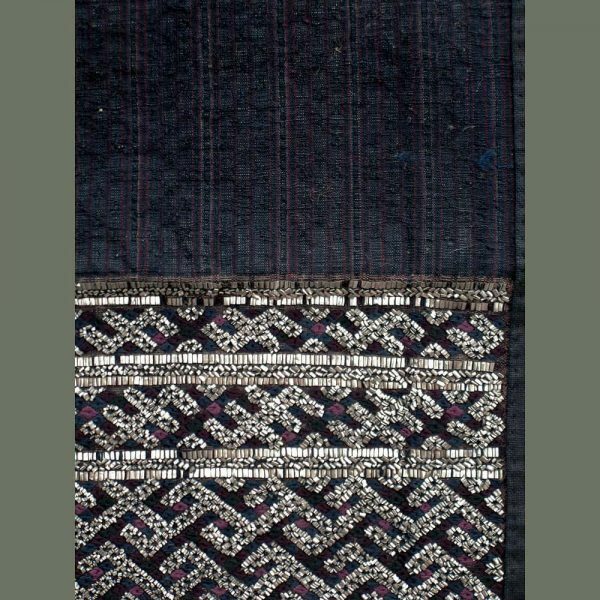 The edges are fine, dark indigo cotton with rolled edging in brown and indigo. 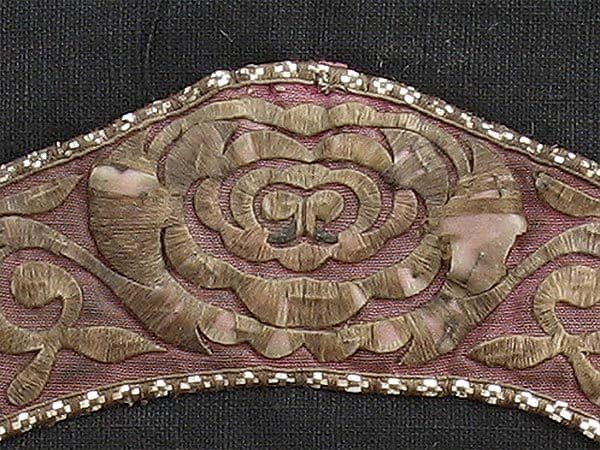 Not new, the condition is very good with only a few silver tubes missing here and there. 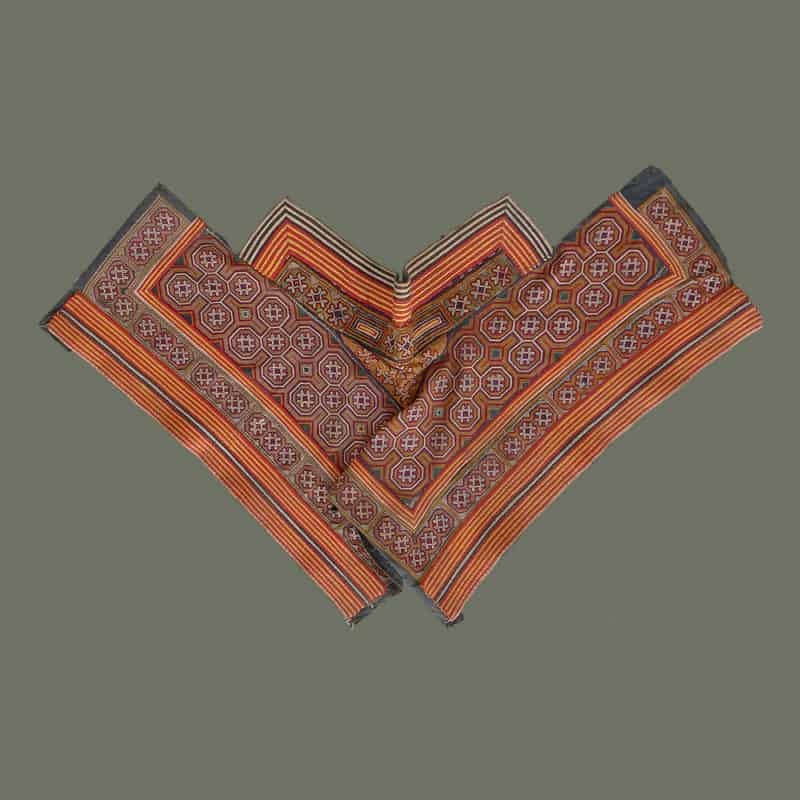 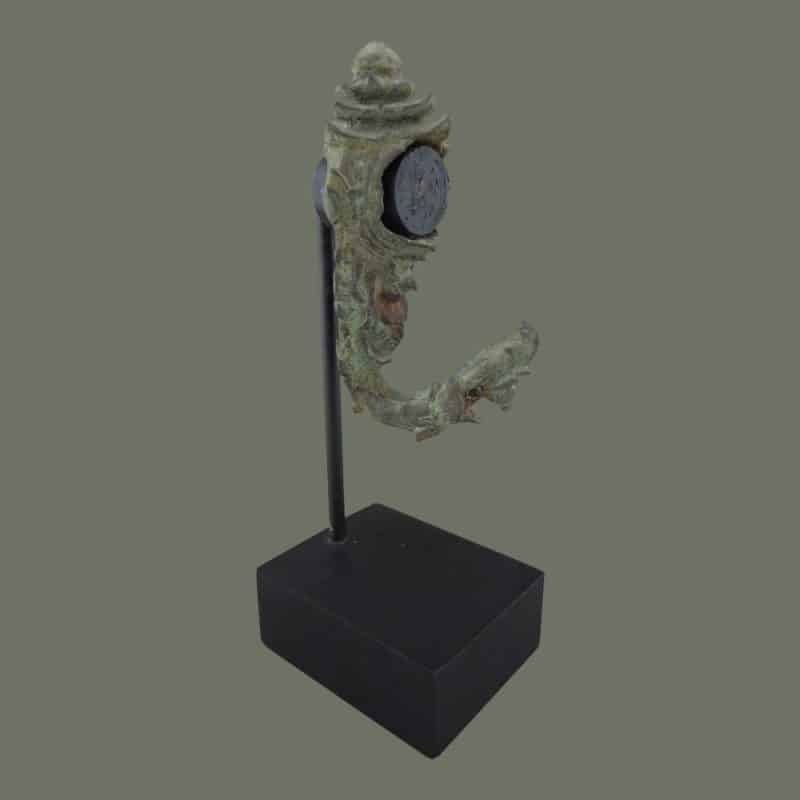 Size: 16 in.  x 7.2 in.